PROVIDENCE, R.I. — The Rhode Island Department of Transportation says the state made more money than expected in its first month of tolling trucks. Receivables from June 11 to July 10 through the RhodeWorks program totaled $625,989, which is $27,322 more than estimated, according to a DOT press release. The DOT also said it appears that fewer trucks than expected are avoiding the state’s two tolls on Route 95 in Washington County. The DOT had estimated that 177,000 vehicles would pass through the tolls during the first month of operation, but the actual number was 188,815. “With one full month of operation under our belts, we feel confident that the tractor-trailer truck-only tolling system is working as expected. The data we are seeing is in line with what we had estimated and all is going well. We are seeing a stable tolling system. We have and will continue to monitor the system closely,” DOT Director Peter Alviti said in the press release. 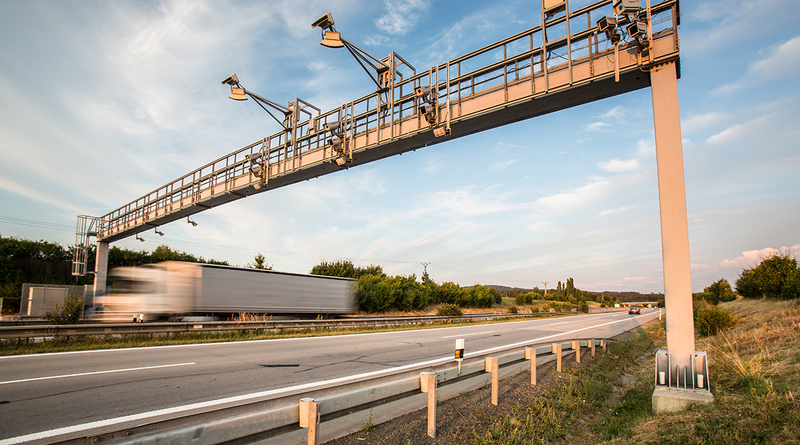 American Trucking Associations and three other motor carriers filed a lawsuit , claiming the tolls unfairly singled out trucking and were detrimental to the transportation of freight. “Since RhodeWorks was first proposed, the trucking industry has been strong and united in opposition to this extortionate plan. We’ve warned politicians in Rhode Island that these truck-only tolls were unconstitutional and should be rolled back,” ATA President Chris Spear said July 10 in announcing the lawsuit. Cumberland Farms Inc., M&M Transport Services Inc., and New England Motor Freight joined the trucking federation in the lawsuit filed in U.S. District Court for the District of Rhode Island. RIDOT plans to install 10 more toll gantries. The agency said it recently submitted the environmental assessment for the locations to the Federal Highway Administration. RIDOT will accept public comment on the environmental assessment until Aug. 11 and will hold public comment meetings July 27. The state plans to have 14 tolls throughout Rhode Island.